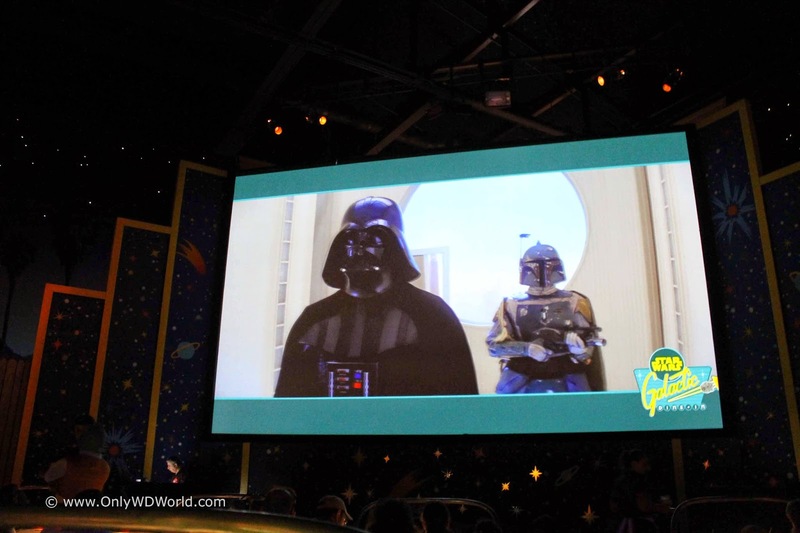 Have you ever thought it would be really cool to have a breakfast where you could meet Darth Vader, Boba Fett, a group of Stormtroopers, Greedo, and a pair of Jawas? Well, the folks at Disney World did and we had a chance to check it out for ourselves! 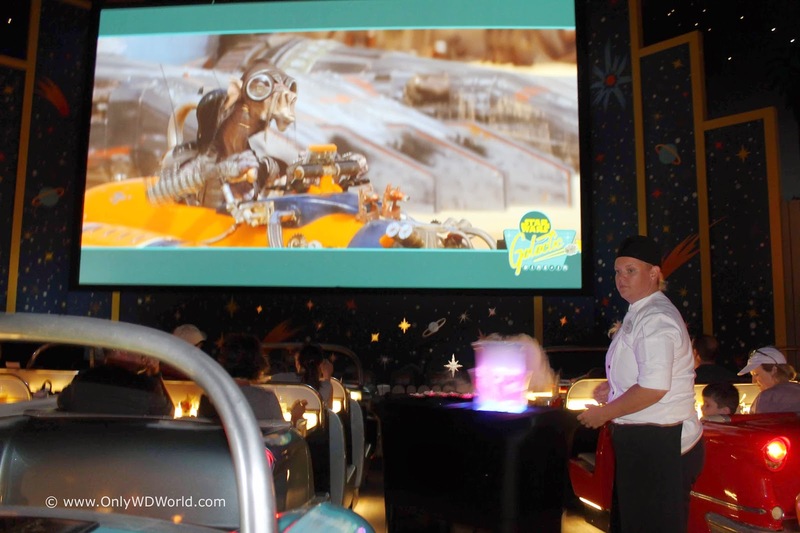 Starting on May 4th and every day through June 15th, 2014 Disney World guests can enjoy a special Star Wars Character Dining Experience at the Sci-Fi Dine-In Theater. 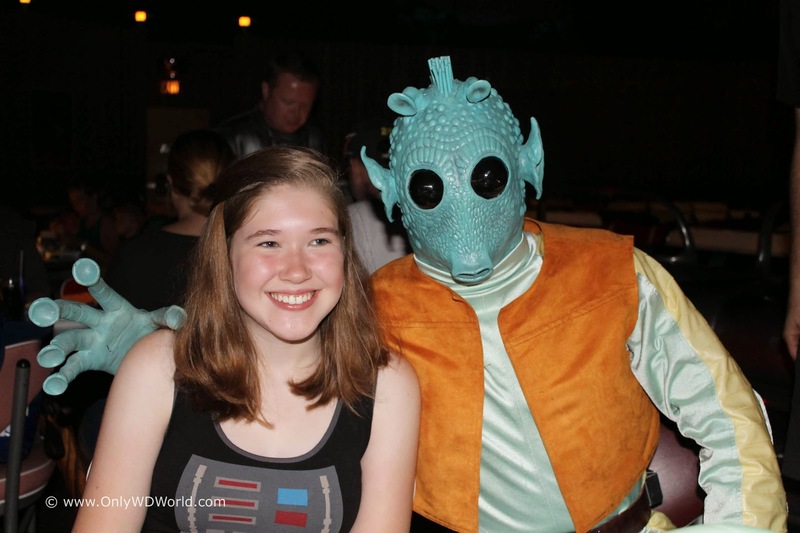 This special Star Wars infused event is only during breakfast hours and requires advance reservations. During the day of our review we had reservations for 8:10am. Although the park didn't officially open until 8:00am that day, the pre-opening show started around 7:40am and guests were allowed to roam through Disney's Hollywood Studios starting at 7:45am. 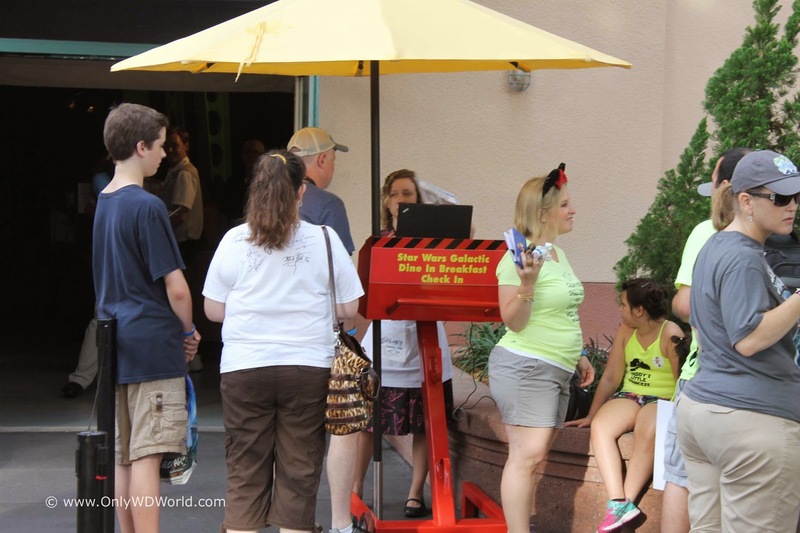 Guests were checked-in outside at a special podium. 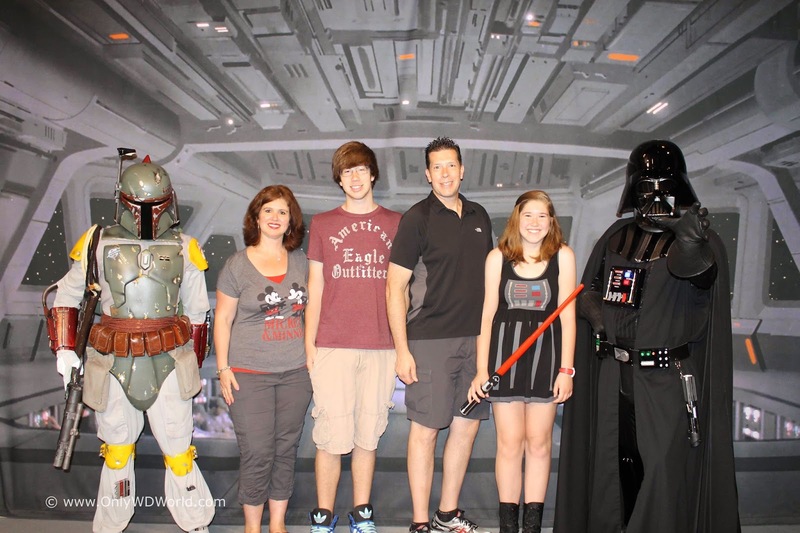 As soon as your name was called you experience started immediately with a special photograph session with Darth Vader and Boba Fett. The dark side of The Force does not mess around. No silly poses here! The good news is that they took pictures on our camera as well as the typical PhotoPass Photographer. We also received a special collectible Darth Vader PhotoPass card that enables FREE download of the pictures that they took! 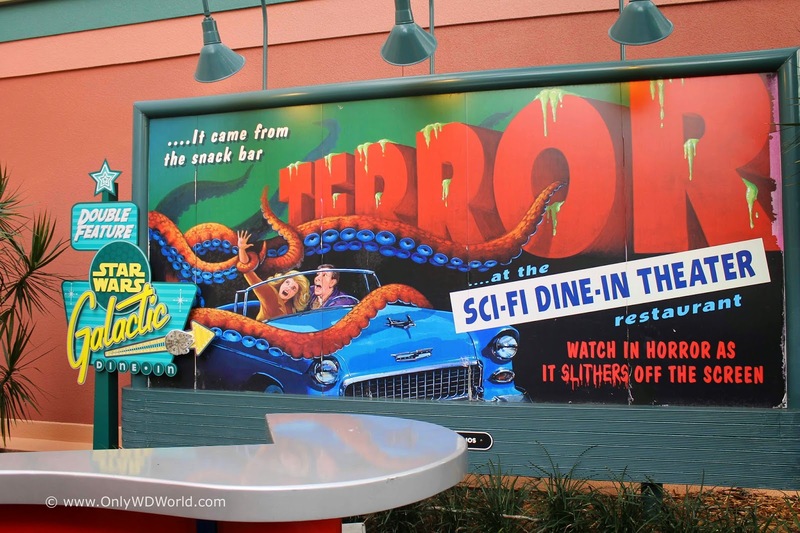 If you are a fan of the Sci-Fi Dine-In Theater you know that it is relatively dark on the inside. That made it difficult to photograph the food and the Characters that came to your tables, but made for excellent viewing of the Star Wars themed movie clips. 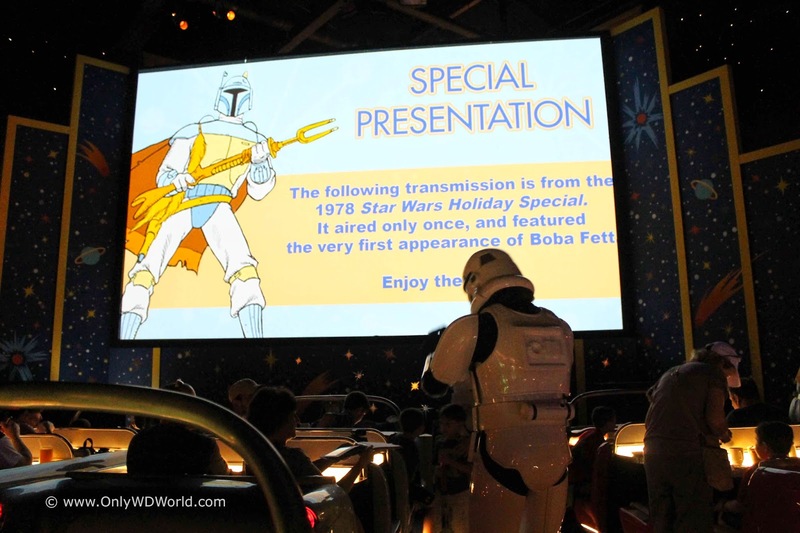 Yes, the typical Sci-Fi clips are replaced with Star Wars ones just for this event. Menu - Click to Enlarge! 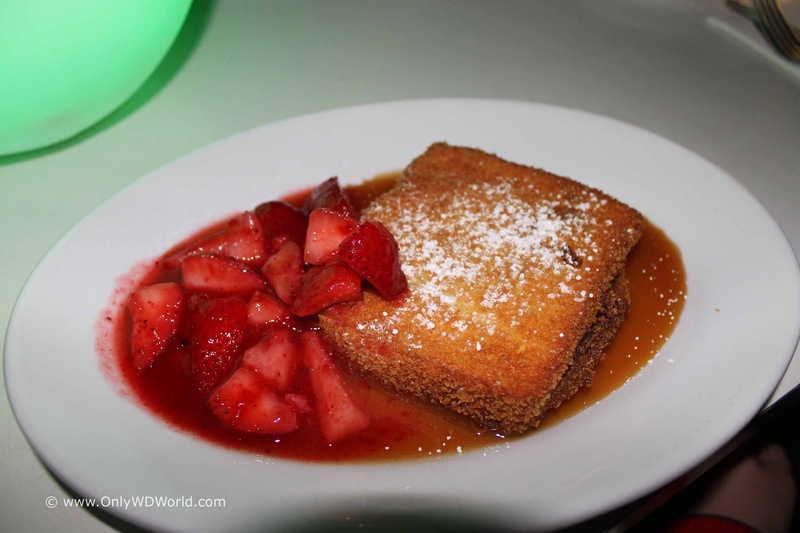 Now you can't have a special Disney Dining Event without special food, and the Chefs at Disney World did not disappoint. They came up with a unique breakfast menu with Special Pastries, Appetizers, your choice of 6 Entree Choices, and even dessert. 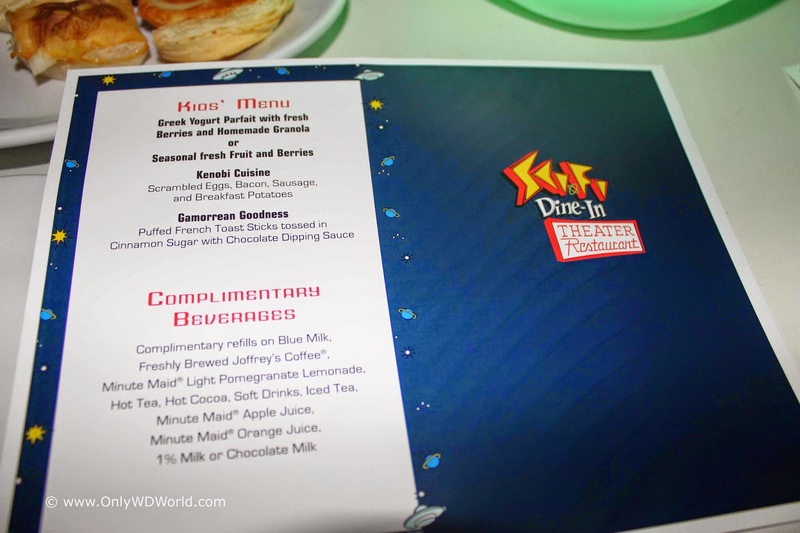 Each diner was also allowed their choice of non-alcoholic beverages. 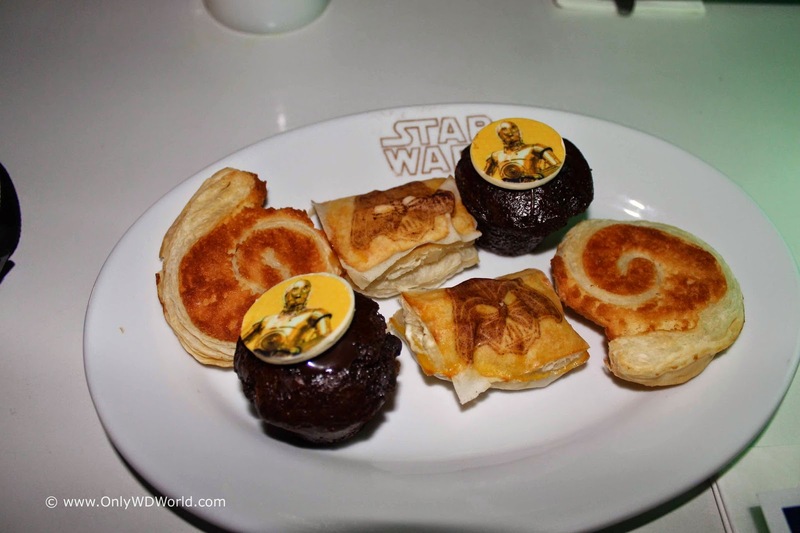 The pastries came out on a special Star Wars platter. Each person at the table received three different pastries to sample. Our table had four people so we received two platters. The pastries even had extra Star Wars touches like C-3PO on one and Darth Vader on another. 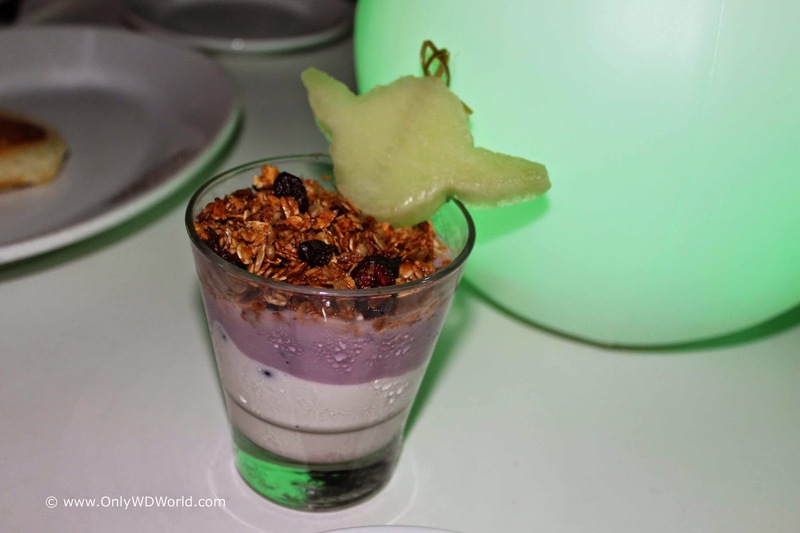 The Appetizers were a choice of Yogurt & granola parfait or a special fruit cup. 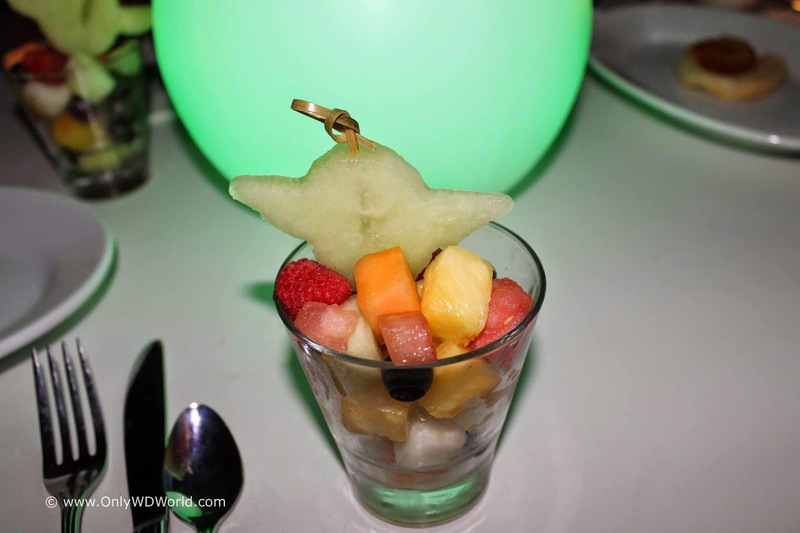 Both added that special touch of a Yoda shaped melon to top it off. 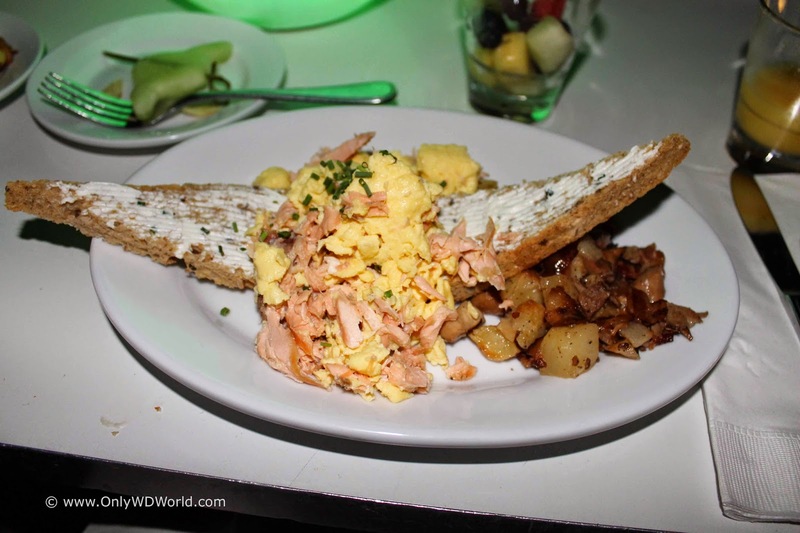 The Dune Sea - House-smoked Salmon Scrambled Eggs, Wild Mushroom Potato Hash with Multigrain Toast slathered with Goat Cheese Butter. All of the food that we tried got very high marks. 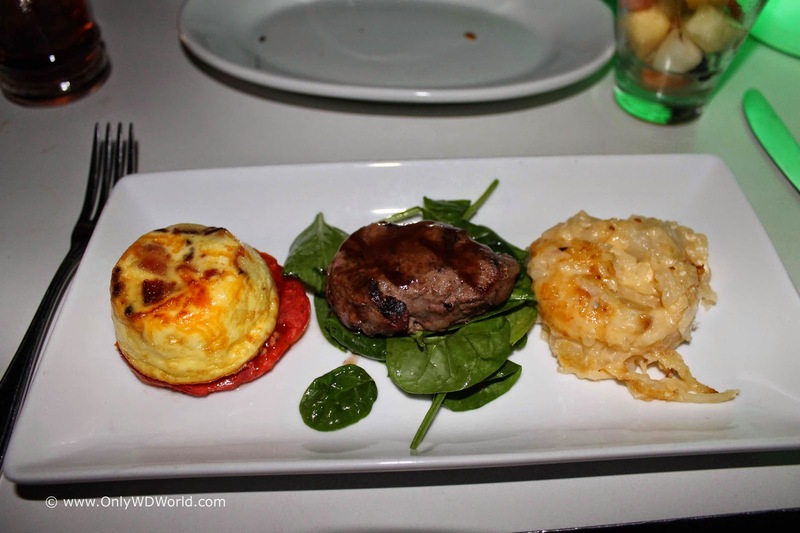 We were very impressed with the quality of the food. The dessert was interesting, but perhaps underwhelming. The presentation was very cool, as it came out on a special cart with smoldering dry ice and neat lighting effects. 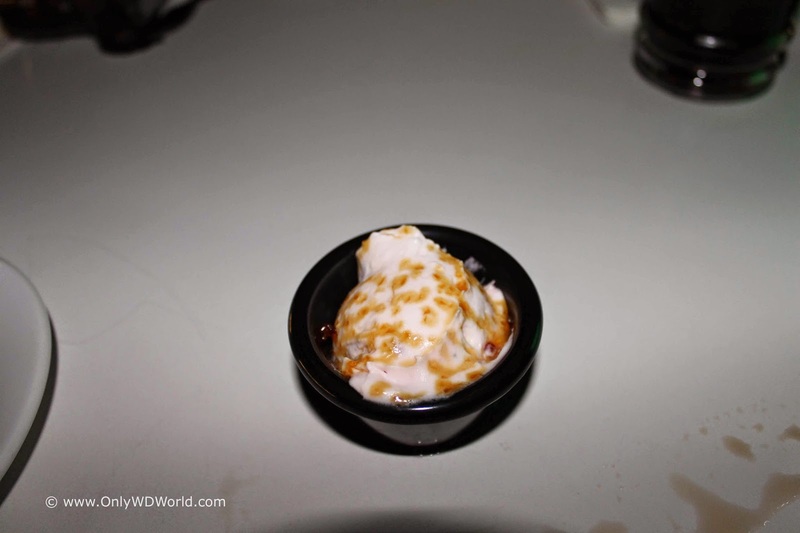 The dessert itself had little flavor bubbles inside that burst as you bit into them. It was good, but did not stand up to the great entrees. 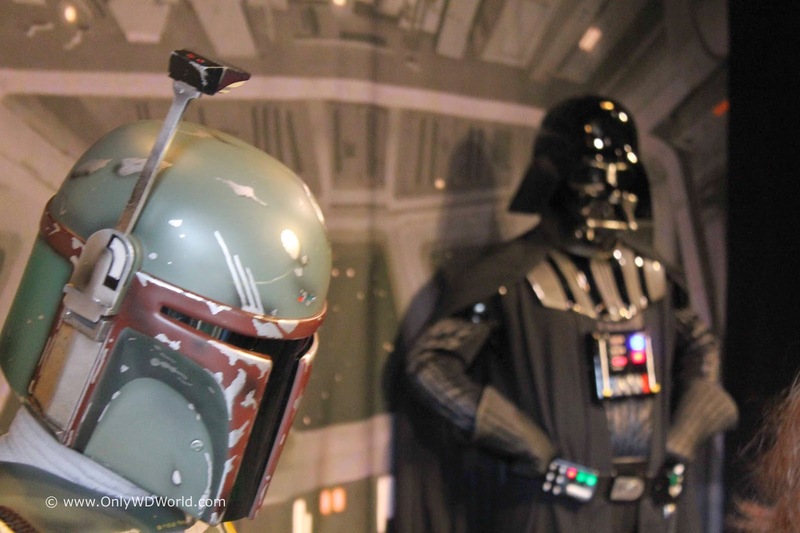 We already mentioned getting to have pictures taken with Darth Vader and Boba Fett. 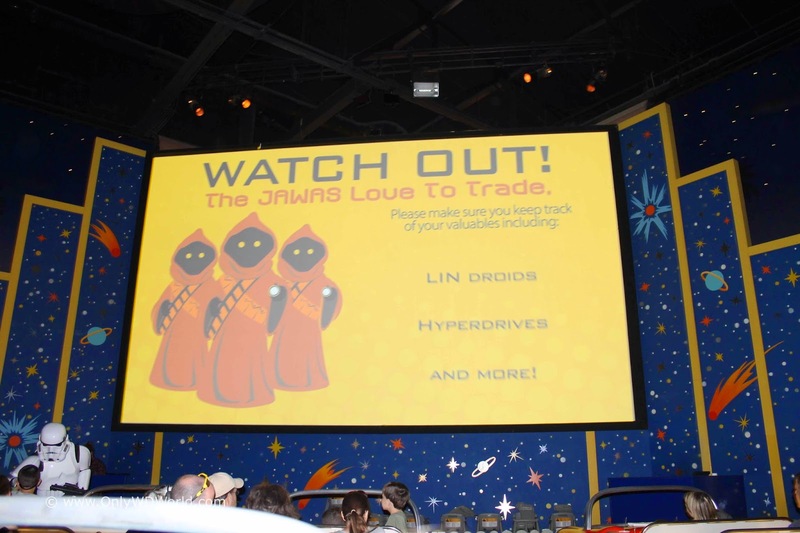 Once inside there are three more groups of Star Wars Characters to meet during your meal. 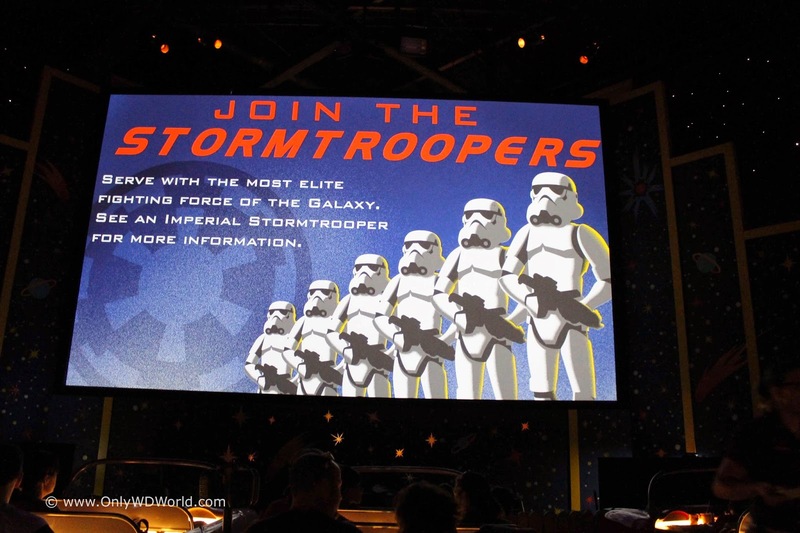 The first group of characters to meet are the Stormtroopers. 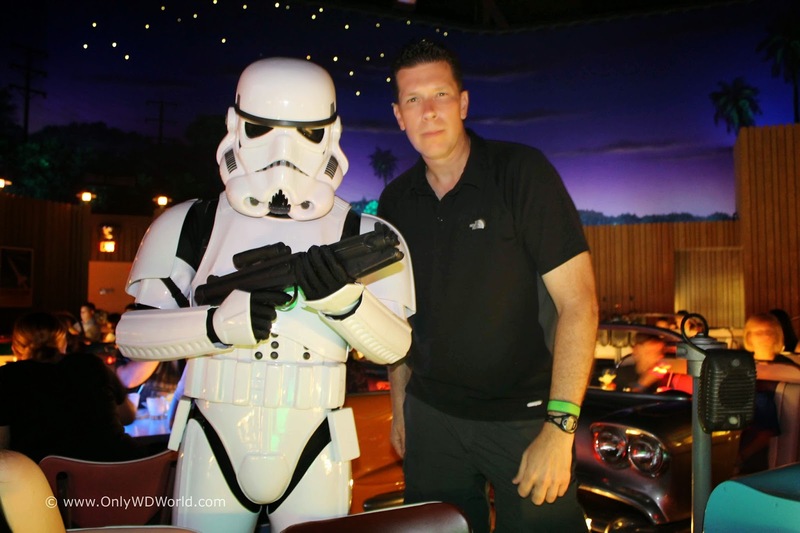 It is important to be serious when you pose with an Imperial Stormtrooper. Even in the dark environment they photograph well and were happy to pose. 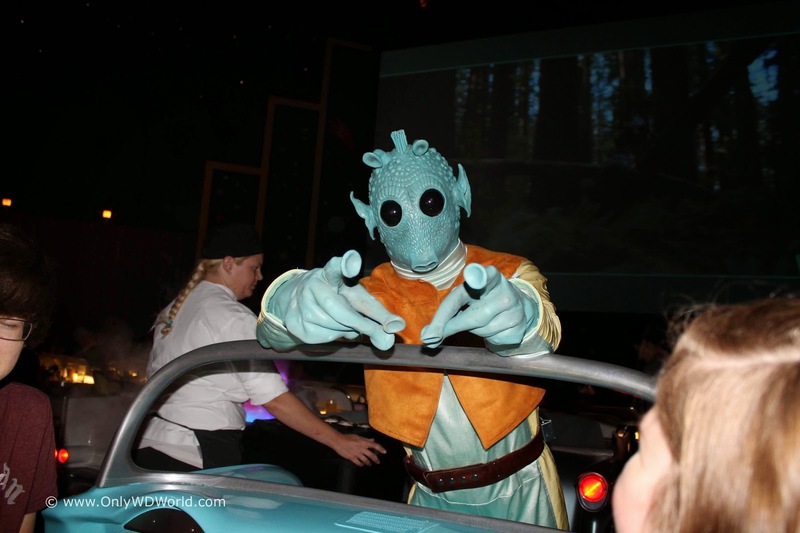 The most animated and attitude filled character had to be Greedo. He was great! We decided not to spoil the mood by telling him that Han shot first! The Jawas were not so easy to capture on film. They were elusive and seemed easily distracted. If you bring a small trinket they will look to trade with you. 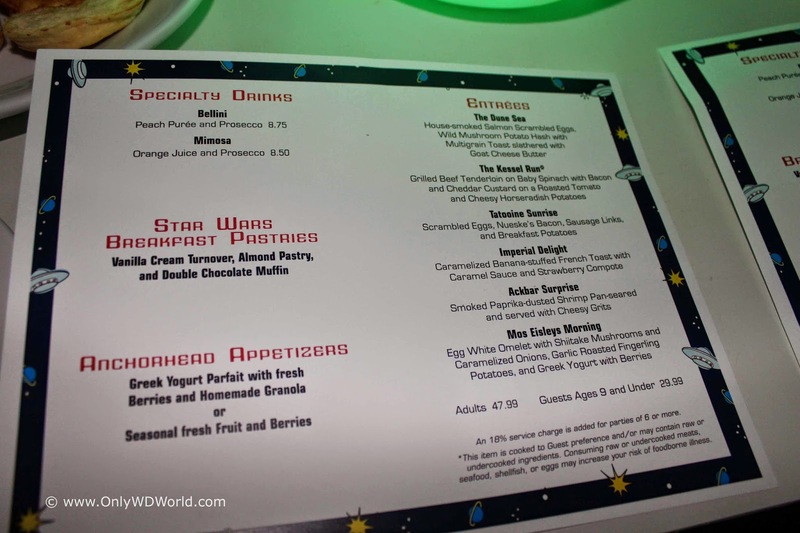 Overall, the Star Wars Galactic Dine-In Breakfast Review was a winner. We would definitely recommend it. 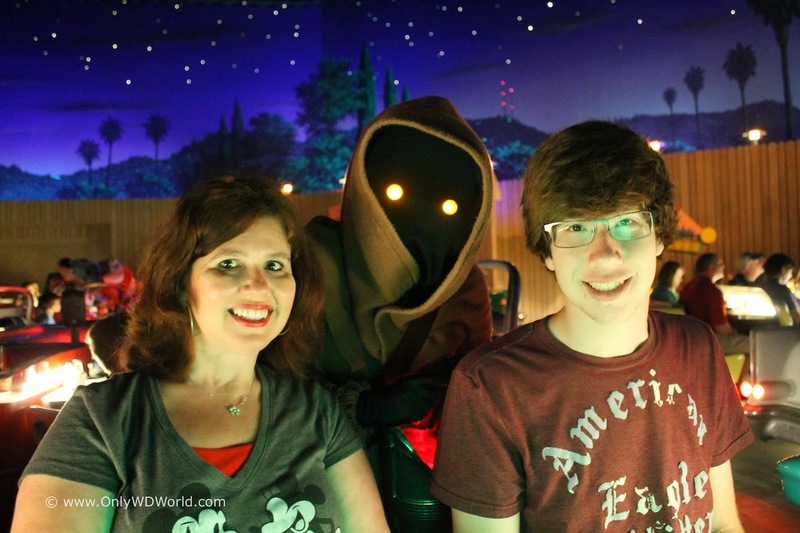 The food was great and the setting, theming, and character interaction was very fun. Although the dark setting made picture taking difficult, we were still able to take many that we were happy with. The only downside was that time passed by too quickly and it was hard to take in all of the details. We did not get to notice as much of the movie clips as we would have liked to. Although the price was not cheap, we feel that it was worth it. We had a great meal and a great time! What else could a Star Wars fan ask for? 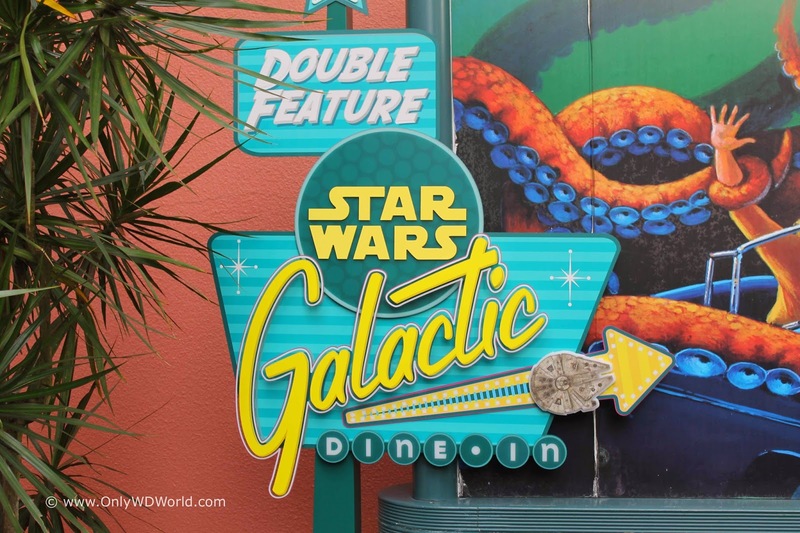 0 comments to "Star Wars Galactic Dine-In Breakfast Review"